You may have already heard that email is not secure, or just the opposite, you might have no bloody idea why email should not be secure. What do I think when I tell you "email is not secure"? Do you want that happen to you?! Individual businessman is even more prone to let sensitive information pass through email communication than some corporate team members. As in large organizations, the Information Technology departments are often taking care of the corporate email security. But private businessman is left to random chance, unless he or she properly acquires the knowledge and tools, which may be used practically to make the email secure. We are providing consulting services for individual businessman to help him gain the knowledge and understanding of the secure email communication and giving him necessary tools to establish secure transmission of documents with his clients or suppliers. 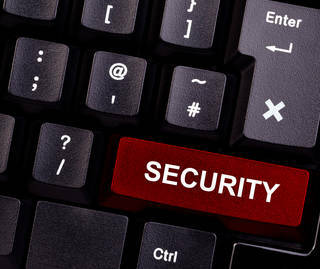 We are providing corporate and organizational email security solutions. We may train any number of corporate team members, and establish secure email communication between each of the members, including secure email strategies with clients and suppliers. Understanding why is email insecure if sent in plain text if crucial for any corporate structure using Internet channels for communication. Even the IT departments are not often enough. Make a cross check with my company, or with some other security related companies, check your IT department if they are really doing it the secure way, or are there leaks of information on your network. We may provide and implement several various technologies for individual businessmen and corporate teams for usage of email communication with security and military grade encryption. We are well versed in implementing any kind of standard encrypted emails and encryption methods, so that your email become secure in relation to third parties. No third party will be able to read the information you send to your clients or suppliers. We may also help you implement secure email communication with those parties which are unable to implement encryption, yet you will be able to transmit the information to them by being sure, only your destined party has received it and nobody else. Contact us for further inquiries and consulting for your email security.